Have spur-of-the-moment guests coming over? Need an easy yet impressive dessert that involves as few steps as possible? It doesn't get much simpler than blend and chill - and believe it or not, that's all it takes to create a simple, yet elegant gourmet-quality chocolate mousse that will impress your guests. With the Oster® Heritage Blend™ 1000 Whirlwind™ Blender, the innovative Whirlwind™ blade effortlessly blends chocolate and other ingredients to a creamy, smooth texture, making it an indispensable, dependable tool that you'll rely on again and again for delicious desserts as much as morning smoothies. When you're looking for a no-fail basic chocolate mousse, use this recipe! It's creamy, chocolate-y and totally indulgent - the dessert that sweet dreams are made of! 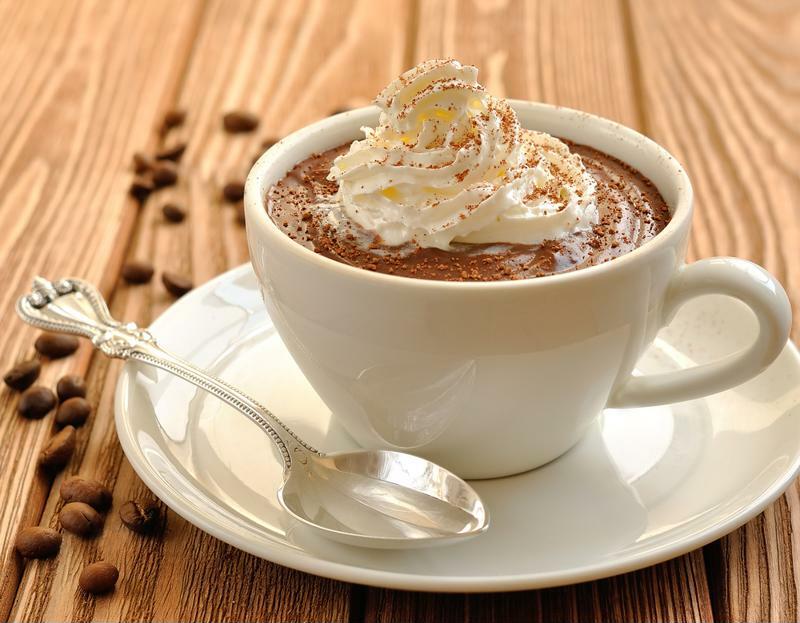 Add the chocolate to the Oster® Heritage Blend™ 1000 Whirlwind™ Blender, then pour the boiling water on top to melt. Blend together until smooth. Then add the cream, egg and vanilla extract and blend again to incorporate. Once combined, pour into bowls and chill in the refrigerator for at least 2-3 hours before serving. Making chocolate mousses is effortless with the Oster® Heritage Blend™ 1000 Whirlwind™ Blender. Instead of an after-dinner coffee, indulge with after-dinner mocha mousse! This coffee-infused dessert has just a hint of espresso flavor, making it a tasty twist on classic chocolate mousse. Add chocolate to the Oster® Heritage Blend™ 1000 Whirlwind™ Blender, then pour brewed coffee on top and blend until smooth. Boil milk, then add to blender and mix again. Finally, add egg and vanilla extract and blend a third time until smooth and creamy. Pour into bowls and chill in the refrigerator for at least 2-3 hours before serving. Believe it or not, you can make delicious chocolate mousse with avocado. The avocado adds extra nutrients to the dessert as well as thickness without requiring heavy creams or eggs - your guests won't notice any difference in taste. Blend some in your Oster® Heritage Blend™ 1000 Whirlwind™ Blender and try it for yourself. Add avocados to the Oster® Heritage Blend™ 1000 Whirlwind™ Blender. Add melted chocolate chips to blender jar and blend until smooth. Add the remaining ingredients and blend again to combine. Pour into bowls and refrigerate for at least 2-3 hours before serving. For a fruity and sophisticated twist on chocolate mousse, incorporate fresh raspberries. Their slightly tart yet sweet flavor is the perfect complement to rich dark chocolate. Add chocolate to the Oster® Heritage Blend™ 1000 Whirlwind™ Blender, the pour over boiling water to melt and blend to combine. Add raspberries, egg, cream and vanilla and blend until smooth. Pour into bowls and refrigerate for at least 2-3 hours before serving.